In orthodontics, almost 12-60% of applied force is lost due to friction. This can have an overall affect in the efficiency of treatment, resulting in increased treatment time and compromised treatment results caused due to loss of anchorage. Carbon nanotubes are being recently experimented in various fields of science because of their wide variety of applications. Due to its superior mechanical properties it could be employed in orthodontics in the near future. With the introduction of carbon nanotubes in orthodontics, both patient and clinician would be benefited. As a clinician, predictive treatment outcome will be possible with decreased chair side time and better treatment outcome. As a patient, the treatment duration will be considerably reduced which is always advantageous. Friction is one of the parameters in orthodontics which decides the performance, reliability and efficiency of the orthodontic systems. Variables that affect friction in orthodontics depend on the following factors (Figure 1). 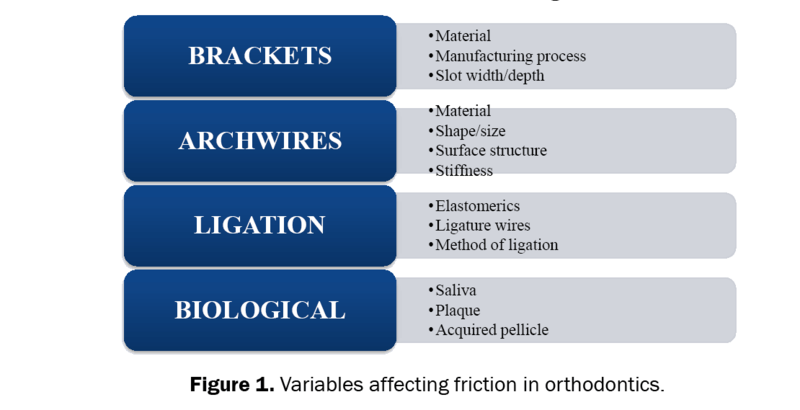 Figure 1: Variables affecting friction in orthodontics. All these factors have helped us identify patterns of friction which can happen in dry or wet environment [1,2]. As friction increases, the treatment results are compromised and the treatment duration increased. One of the newly explored fields to resolve this crisis is the introduction of carbon naotubes (CNTs). The discovery of CNTs by Iijima in 1991 has opened up a new era in materials science. A carbon nanotube is a cylindrical, tube-shaped material, made of carbon, having a diameter measuring in nanometres. CNTs are at least 100 times stronger than steel, but only one-sixth as heavy. The size, shape and exceptional physical properties make these large macromolecules distinctive in nature . In 1970s Morinobu Endo, a Ph.D student at the University of Orleans, France was completing the preparation of planned carbon filaments. The growth of these filaments was initially thought to be the first CNTs. However, they failed to meet the measurement requirements for width and thus were considered as barrelenes. After 20 years, in 1991, the true first invention of nanotube was credited to Sumio Iijima of IBM. B. Can be twisted, flattened and bent into small circles without breaking. C. Most SWNTs have a diameter close to 1 nm, with a tube length that can be thousand times longer. A. Made of two or more coaxial cylinders. B. Has a diameter close to 50 nm. I. The Russian Doll model: sheets of graphite are arranged in concentric cylinders. II. The Parchment model: a single sheet of graphite is rolled in around itself, resembling a rolled up newspaper. 2. High electrical and thermal conductivity. 3. Acts as high quality electron field-emitter, largely due to their increased length-to-diameter ratios. 6. Low thermal expansion coefficient. CNTs have found applications in several fields such as (Figure 2). The toxicity of CNTs has always evoked caution in nanotechnology. Variables such as structure, size distribution, surface area, surface chemistry, surface charge, agglomeration and purity of the samples, have significant impact on the reactivity of CNTs. However, available data clearly states that, nanotubes can cross membrane barriers, under some conditions. This indicates that they can induce harmful effects such as inflammatory and fibrotic reactions if the raw materials reach the organs [4,5]. Emile R. Friction: An overview. Sem in Orthod. 2003;9:217-290. Kusy RP and Whitley JQ. Friction between different wire-bracket configurations and materials. Sem In Orthod. 1997;3:166-177. Zhang M, et al. Strong, transparent, multifunctional carbon nanotube sheets. Sci. 2005;309:1215-1219. Kolosnjaj J, et al. Toxicity studies of carbon nanotubes. Adv Exp Med Biol. 2007;620:181-204.